With the end of the NBA lockout and the eve of a busy but shortened off-season, the NBA is going to have monumental roster changes. The one thing we know as Knick fans is the fact that the Melo trade last season left the Knicks with major holes and depth in its rotation. Yes, the Knicks have a dynamic duo but what will be the key factor for the franchise is how the build around these two elite players. STAT carried the Knicks last year when they were a team of scrappy mix matched players. Melo only had 17 regular season games and carried the Knicks when Stat went down in the playoffs. Last year’s sweep to the Celtics was a reality check for the Knicks and most importantly for the fans. We saw that Jared Jefferies is not a viable offensive option since he single handly lost Game 2, even with Melo dropping 41. The other major hole is the fact the knicks do not have a strong center on the roster. Billups’ age also proved to take center stage during the playoffs last year. The Knicks have to find answers fast before the window of opportunitycloses on their two superstars. The Knicks lost many valuable trade assets when dealing for Melo. All most every Knicks fan has heard the rumors at Melo’s wedding about how Amare, Melo, and Chris Paul were going to create their own “big three.” But how can the Knicks trade for CP3? It is almost impossible to put a trade together. The only realistic trade that would work would be trading Landry Fields, rookie Iman Shumpart, and Chauncey Billups and a first rounder. Unfortunately, this gives the Knicks even less options to build. This would mean they would trade their two prospects and an aging Billups. Since the Knicks have already traded most of its first rounders for next year, they can’t rely on three players to win a championship. It’s almost impossible. The Heat showed us last year that without depth and consistency, three players can’t beat a whole team. The NBA is a league that over-hypes its superstars so much that fans and followers forget that a team effort is a necessity in basketball. Superstars help win regular season games but teamwork wins hardware. Did the 1980’s miracle team have a superstar? No. Did the 1969 Jets have a superstar? No. Joe Namath is one of the greatest new york sports legends but was a mediocre quarterback for his career. It is the passion of a team that drives them to win. The question that has to be answered is will the Knicks sell out and try to bolster an all-star squad, or do they find the right players to build a team. 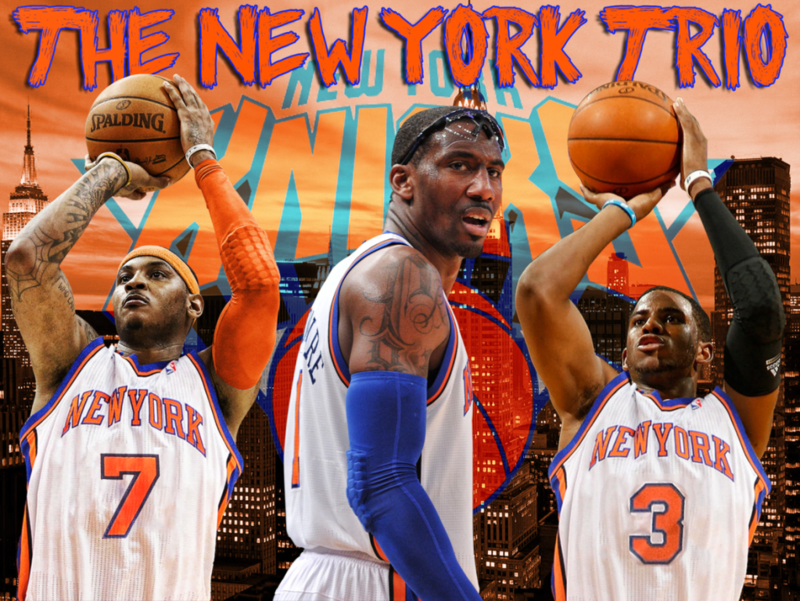 In the next few weeks we will witness what road the Knicks decide on but until then, all we can do is speculate. Jim Dolan is known for being an awful owner and right now the Knicks franchise is at a fork in the road. They have their first opportunity in a decade to build a winning team or go the other way and build an all-star squad. One thing for certain is that in coming days we will hear many rumors about the Knicks and one might be STAT and others for Dwight Howard. I personally think that STAT is the heart and emotion of the team and if you trade him, how can a fan follow the franchise? With the emergence of the Brooklyn Nets, the Knicks reign over the city is in jeopardy. If the Knicks hand out one-year contracts or decide to make a trade, we can imagine that they are going to go down the all-star road. If they decide to build a team, than they have a shot with destiny. All of these factors will play a role in which decisions the Knicks make. The bottom line is that this franchise is at a make or break situation. I just hope the Knicks can be strong and have a few good seasons. With the Rangers on the upside and the Knicks knocking on the same door, is it too crazy to think of another spring of 94? The opportunity is there, its just a question if the Knicks have their priorities in order. This entry was posted on November 30, 2011 at 4:33 pm and is filed under Knicks. You can follow any responses to this entry through the RSS 2.0 feed. You can leave a response, or trackback from your own site.